Let’s be honest, shopping as a curvy woman can be a little bit frustrating. I don’t know how many times I’ve gone shopping all over Los Angeles in search of the perfect outfit for an event, only to come back empty handed. And with so many straight size stores outnumbering plus size stores, there are limited options. While I know there are more and more options popping up online, I personally prefer to feel and try items on in store. That’s not to say that I never shop online but there is something about going into a brick and mortar store that I love. That being said, I’ve learned to be creative with my “inbetweenie”, proportionate size 18 frame, often pulling off pieces from the straight size brands that work for me. So, I wanted to put together a short list of things I look for when shopping in the straight size section. My number one rule is never be afraid to try something on regardless of what store you are in! There are several times I’ve found pieces that have worked great for me but had I not tried them on, I would have missed out! Check the fabric – Stretchy knits are the best thing ever! For example, the crop top and skirt I am wearing in the picture above was made of a super stretchy scuba material. Just make sure fabric quality is good so that the color and print don’t fade or get too stretched. Look for over sized straight sizes – there are plenty of brands (we’re going to share some of those next week) that tend to run larger and will work for a plus size body. I’ve found dresses at BCBG, Anthropologie and even H & M that worked just fine for me. Don’t be afraid to re-purpose pieces. For example, one woman’s t-shirt could be another woman’s crop top. I’ve gladly worn sweaters as crops or tied a t-shirt to make it work on my body. Check sizing guides – we know this from our own shopping experience that no two stores sizing guides are a like. An XL at one store might be the equivalent of a M at another. Again, it all comes down to knowing which brands run more generously. One Size Fits All – I’ve found many a pieces whether they be bathing suit coverups, ponchos, tee’s etc. that have worked for me. Normally this can be a tricky concept but there are brands and certain items of clothing that are versatile enough to work within the one size fits all concept. Ever since tearing an Achilles tendon years ago, I’ve learned that not all shoes are the same. This definitely applies to shopping for regular or wide width shoes. Don’t be afraid to check out certain brands that are more generous in their fit. You can always get shoes stretched as well. OMG! This look is everything… I want this right now. Your style is so great. Love this look on you! I shop both stores because I can never find everything I need at the so called plus size stores. Plus I don’t want to wear the same things everyone else is wearing all the time in my size. Thank you for letting me know. It can be so frustrating but good to know there are other possible options out there too! Yes, yes, and yes! I shop such a mix between straight & plus sizes as well. I love your tips you listed here because I think there are a lot of ladies, both young and old that shy away from looking beyond the few plus size shops available to them. I am like you and do most of my shopping & purchasing in store. I try on so many things that do not work, but then find some gems that do and it’s all worth it. If I had done that online, I probably would have missed out. The other thing I have to note is that ladies need to be confident when shopping. Do not get intimidated by other shoppers and sales associates that may be smaller than you. More times than not, they really do not care and I find that when you carry a smile and confidence, I get a very positive response. Great post! Sexayyy! Love love love this look on you! That top is so flirty and fun! Great tips here. Sometimes going to a specialty “plus size” store is great, but a lot of cute pieces are in other stores! It’s good to note what to do when you’re looking for clothes in a straight size store. I found this article very interesting. You’ve shared a lot of good information and ideas about this article. Shopping for plus-size clothing can be a little bit difficult at times but it’s a great thing that clothing companies expanding their clothing lines by adding plus-size sections. Thanks for sharing. Founder | Digital Influencer & Strategist featured in Redbook Magazine, Refinery29, and The Everygirl. Lifestyle, Travel, Beauty, Fashion and everything eat, stay, shop & play Los Angeles. 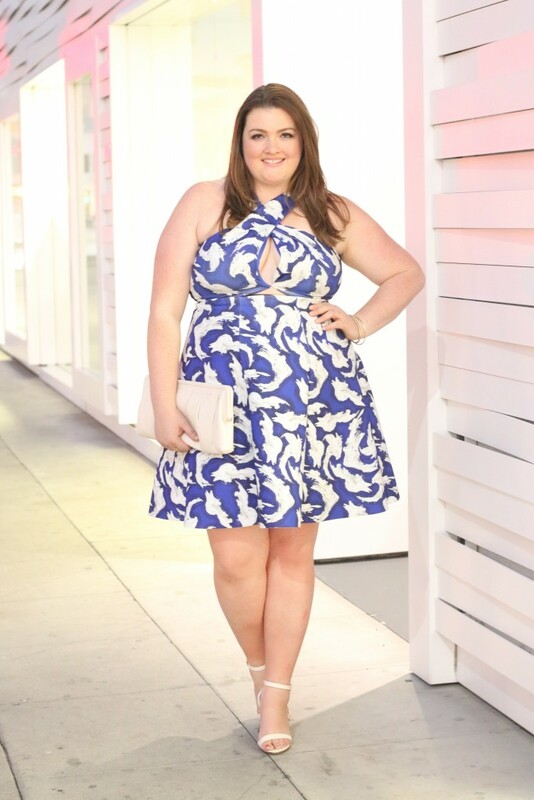 ELOQUII LOOK BOOK & SPRING SALE! 2017 Lovely in LA Images may not be downloaded, manipulated, or reproduced without prior written permission from Lovely in LA. Commercial or private use without explicit written consent is prohibited and punishable through US and worldwide copyright laws; this applies to all creative elements, including photography, graphics, and written content.